Canberra- ME Times Int'l: NEW migrants will be forced to remain in regional areas under the terms of their visas to prevent them moving to big cities once their permanent residency is approved. The federal Home Affairs office is developing new visa rules to "bind" people to a regional area for the duration of a visa to better help them assimilate, after only 7000 of 190,000 migrants settled in rural areas in 2017. 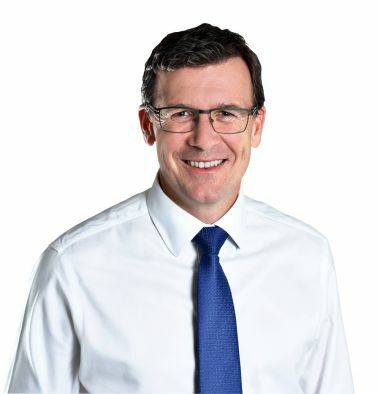 "Many migrants are sponsored for permanent residence on the basis of an intent to live and work in regional Australia, but don't stay long in the region once they have their permanent visa," citizenship minister Alan Tudge told News Corp on Tuesday, describing the situation as "a major issue". Sydney: The NSW Government has launched the first comprehensive review of the entire school curriculum since 1989 to ensure our education system is preparing students for the challenges and opportunities of the 21st century. Premier Gladys Berejiklian and Education Minister Rob Stokes announced a review of the NSW school curriculum from Kindergarten to Year 12. “The world has changed rapidly since the last comprehensive review in 1989 and we must ensure the curriculum is as strong as it can be,” Ms Berejiklian said. Mr Stokes said the review would implement findings of David Gonski’s latest report into Australian school education. Sydney: Legislation will be introduced to Parliament in the next two weeks, enabling a phased state wide rollout of the Digital Driver Licence (DDL). The rollout of the technology will be subject to an implementation plan. Once finalised, the DDL will be made available through the Service NSW app. Minister for Finance, Services and Property Victor Dominello said the DDL would be the first of its kind in Australia, more user friendly and highly secure. Perth: Kim Beazley has been sworn in as WA’s 33rd governor in a ceremony at Government House in Perth this evening. Mr Beazley, former deputy prime minister and Australia’s ambassador to the US, takes over from predecessor Kerry Sanderson as of this evening. As governor, Mr Beazley receives an annual salary of almost $450,000, as well as the keys to the mansion at Government House in the heart of the Perth CBD. Both Premier Mark McGowan and Opposition Leader Mike Nahan welcomed Mr Beazley’s appointment. “Governor Beazley brings extensive knowledge of the defence industry and a wealth of international experience to the role,” Mr McGowan said. Sydney: New South Wales' central west this morning woke to a dusting of snow — the first of 2018 — and while the white stuff seldom falls in Sydney, it has happened once before. As the Harbour City shivered through its first taste of the cold weather last night and this morning, newspaper clippings from more than 180 years ago reveal today is, well, nothing. During the "icy winter" of 1836, the thousands of convicts held in Hyde Park — and the British settlers in the then 48-year-old colonial outpost called Sydney — awoke to snow "nearly an inch deep" on June 28. The meteorological table in The Sydney Herald recorded that on the morning of the snow (June 28, 1836) revealed the temperature dropped to 3 degrees Celsius (or 38 degrees Fahrenheit). This year, snow has come much earlier than expected, with an overnight dump in all major ski resorts and a dusting around Orange and Oberon. Canberra: Queen Elizabeth remembers with fondness opening Parliament House in Canberra 30 years ago. Canberra marks three decades since the building was officially opened, replacing the old parliament which it overlooks. "I remember with fondness my visit to Canberra during Australia's Bicentenary and was interested to learn that Parliament House now attracts more than one million visitors each year," the Queen said in a message read in both houses of parliament on Wednesday. West Australia: Australia's oldest scientist David Goodall has taken his final journey, to the strains of Beethoven's last symphony and surrounded by family in Switzerland. The 104-year-old was forced to travel on a one-way ticket from his home in Western Australia to Switzerland where he took his own life on Thursday through voluntary euthanasia. "I no longer want to continue life," he said. "I'm happy to have a chance to end it."